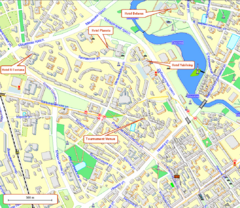 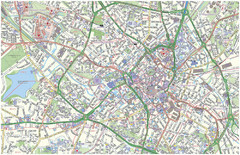 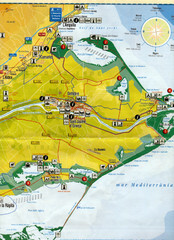 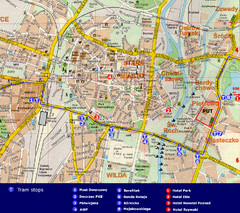 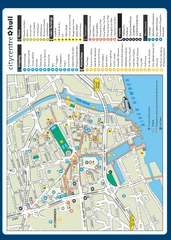 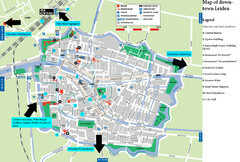 Tourist map of downtown Leiden, The Netherlands. 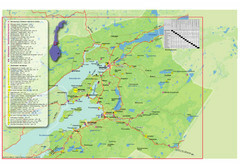 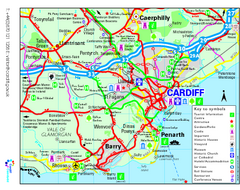 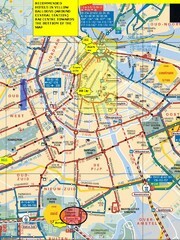 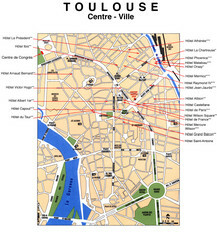 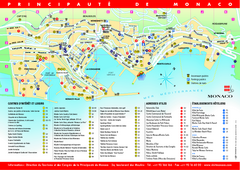 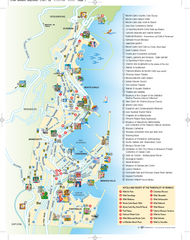 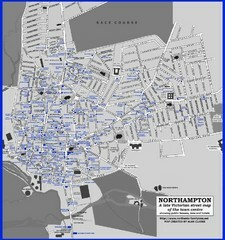 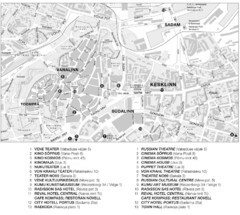 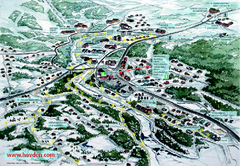 Shows some hotels and other points of interest. 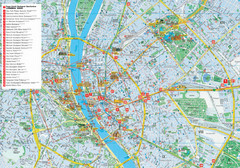 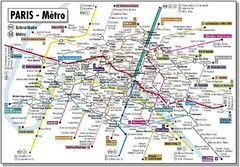 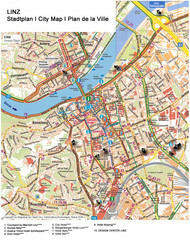 Tourist map of Budapest, Hungary. 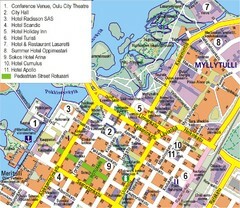 Shows all hotels. 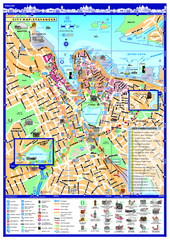 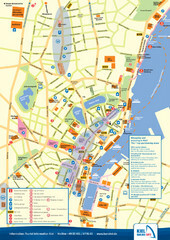 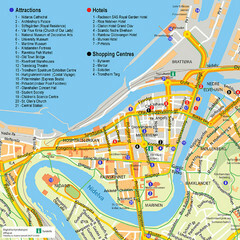 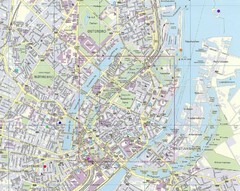 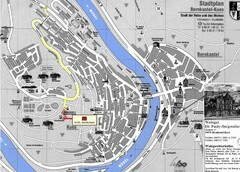 Tourist map of the center of Trondheim, Norway. 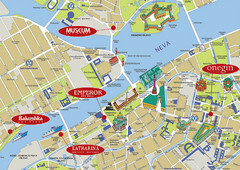 Shows attractions, hotels, and shopping centers.